Groupize, a technology program for “simple meetings,” has introduced a “Meetings Complexity Index” that enables planners to decide whether their meeting is appropriate for the Groupize product. Using the index, companies can define a simple meeting vs. a complex meeting using parameters such as meeting type, attendee type, estimated budget and size. This method will determine whether an “occasional planner” can use self-service mode or requires support at a defined moment such as negotiating and contracting. 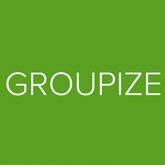 Charles de Gaspe Beaubien, CEO, said Groupize defines a simple meeting not by size but by its complexity factor. While the average Groupize-organized meeting is between 3 and 50 attendees, customers have executed self-enabled simple meetings of up to 1,000 attendees, housing for 10,000 attendees and corporations doing up to 100 meetings a week.